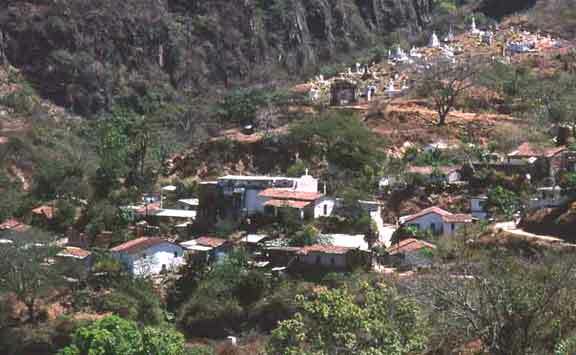 The Copala-Panuco area is the oldest mining district in the Mexican state of Sinaloa. It was founded in 1565 by the Spanish conquistador Francisco de Ibarra, and named after the mythical golden city of Copala (also called Cibola or Quivira), for which he had spent years in a fruitless search throughout northern Mexico. Some years ago, I helped my friend, fellow geologist and mining historian Michael Sheffer, research the area for a paper he presented to the 1994 Mining History Association conference in Golden, Colorado. Copala is a couple of hours by paved road from Mazatlan. 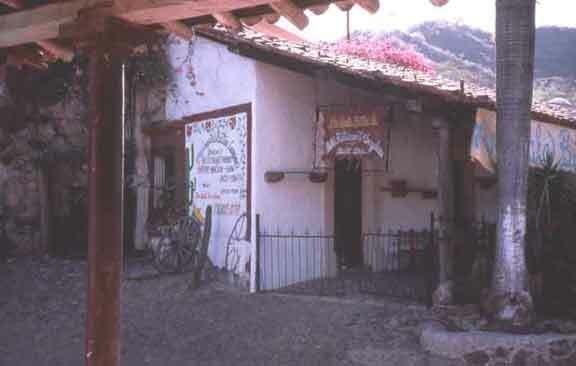 For tourists who want to see something of the real Mexico, Copala is a fascinating day trip. 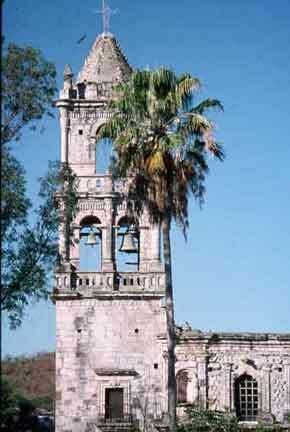 The old church tower on the plaza at Copala. 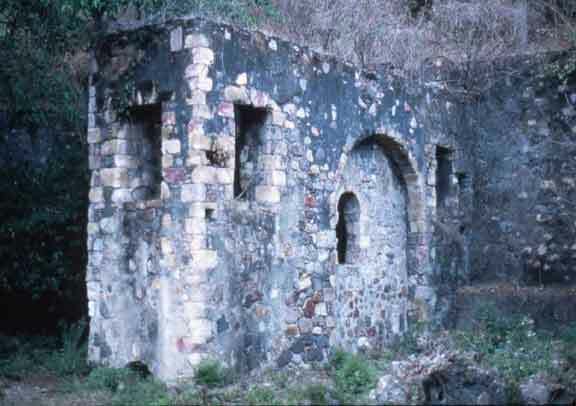 There are many ore-milling sites, called haciendas de beneficio, along the Rio Panuco near Copala. 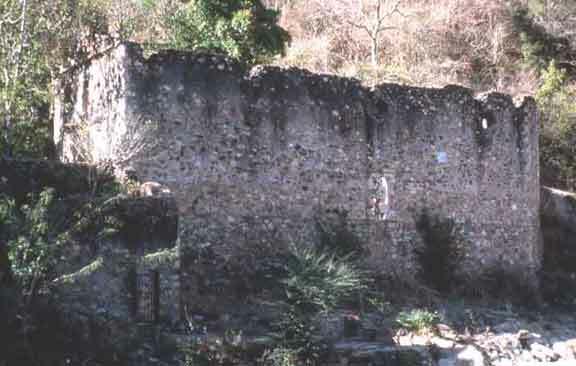 At right are remains of the old church at the hacienda Guadalupe, at Charcas. 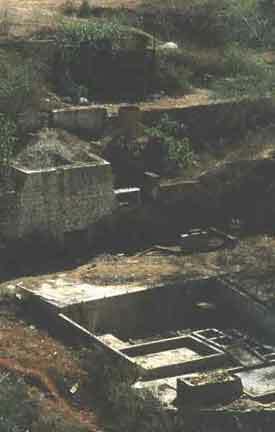 A tahona, stone housing for an overshot water wheel at hacienda Guadalupe. 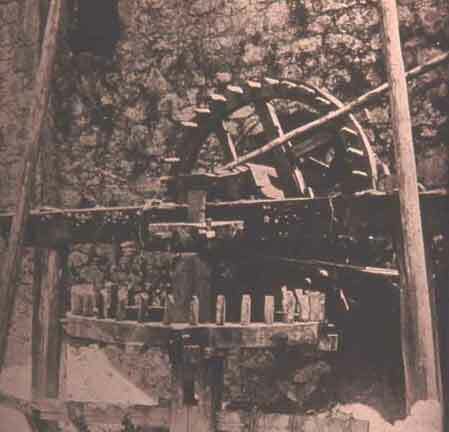 The haciendas de beneficio used water power to crush the ore.
Photo of a tahona, showing the gears to translate the vertical motion of the water wheel to horizontal motion to crush the ore in an arrastra. From Rickard’s Journeys of Observation. 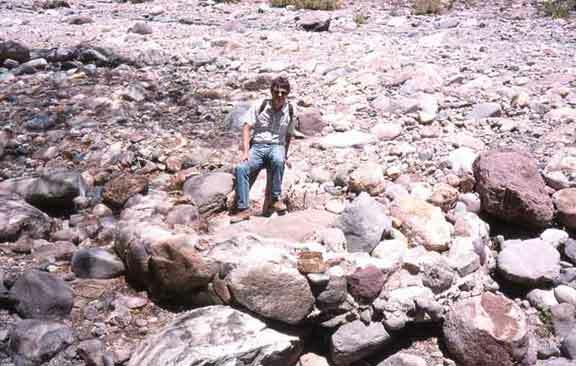 Michael Sheffer at the remains of a more recent arrastra in the bed of the Rio Panuco. 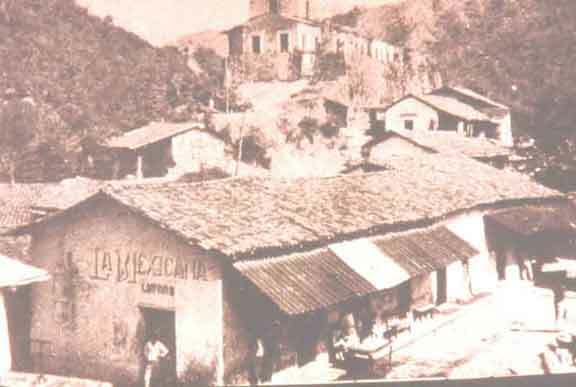 Most Mexican silver mines amalgamated the silver ore in open patios. From Rickard’s Journeys of Observation. We found no old amalgamation patios in the Copala area. A possible reason is that patio pavements were commonly torn up to recover the mercury and amalgam that leaked down through the pavement. 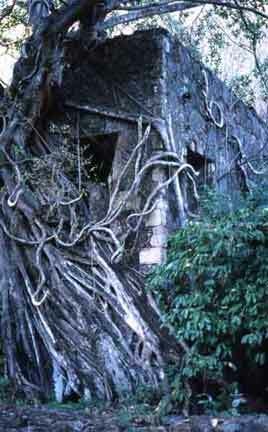 An overgrown tahona at Guadalupe. 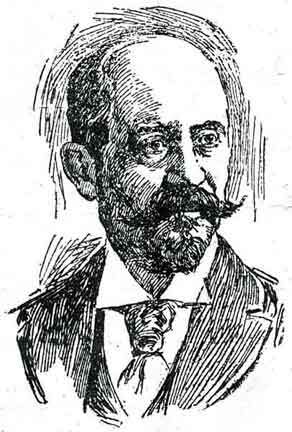 Pioneer metallurgist Charles Butters helped perfect the cyanide ore treatment process in South Africa, then moved to Oakland, California. In the early 1900s, he built cyanide plants in the United States, Mexico, El Salvador, and Nicaragua. He built one of his cyanide plant in Copala. 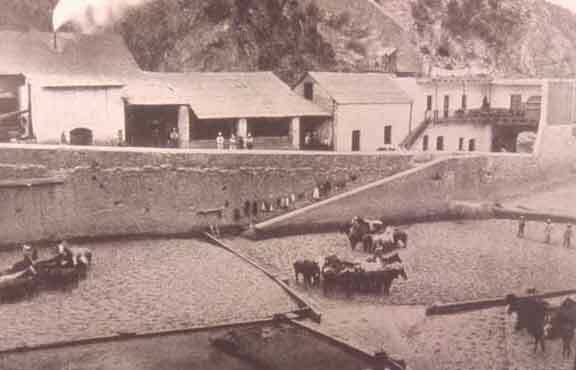 The Butters cyanide plant at Copala in 1909. What remained of the Butters cyanide plant in 1996. The Butters Company headquarters in Copala is now a pleasant restaurant and hotel just off the plaza. Also recommended in Copala is Daniel’s Restaurant. 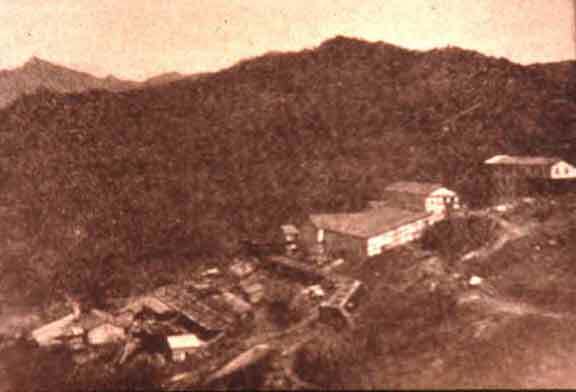 A few miles from Copala is the mining town of Panuco, shown here in 1927.